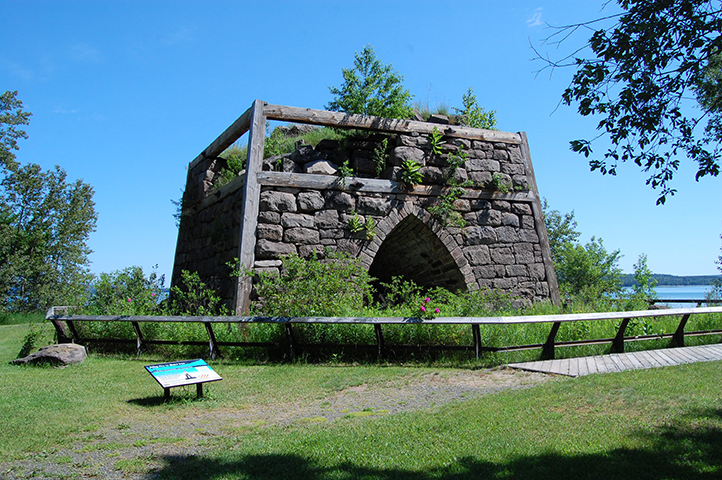 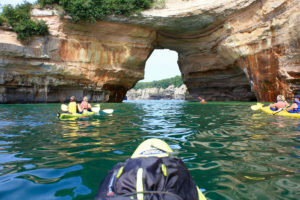 We are your gateway to outdoor adventure and fun in Upper Michigan! 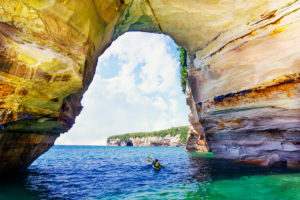 With our all-inclusive vacation packages, you can spend more time exploring and enjoying the natural beauty of the Pictured Rocks National Lakeshore. 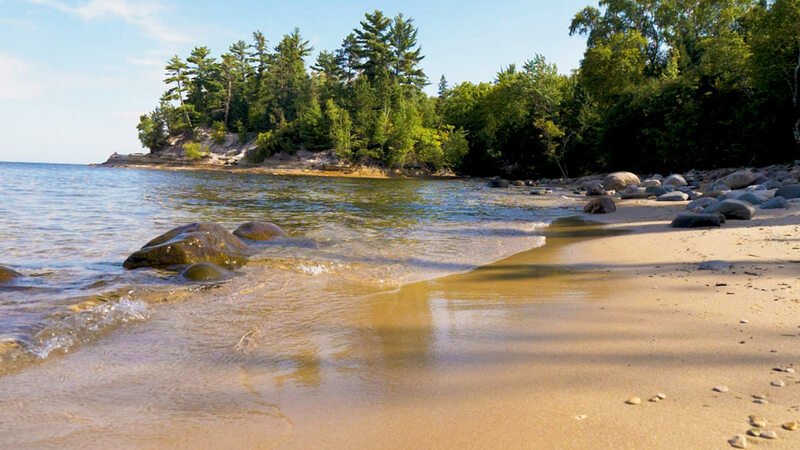 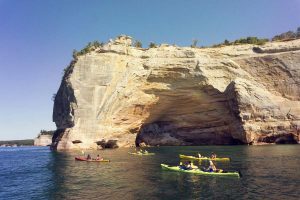 All our vacation packages include a guided kayaking tour along the Pictured Rocks Shoreline and accommodations with convenient access to all your favorite outdoor activities. 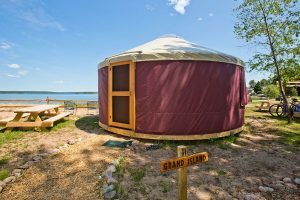 We offer it all! 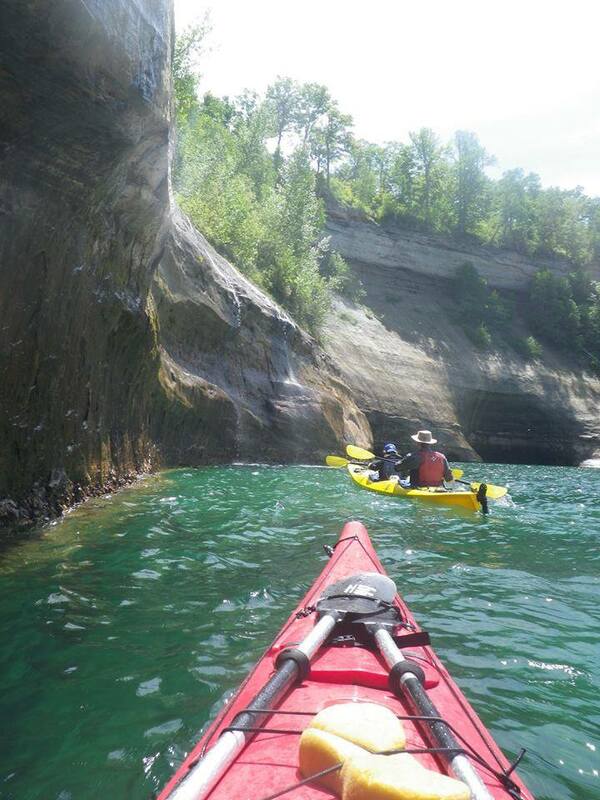 Kayaking, canoeing, cruising, lodging, the best beer selection in the UP and great food ! 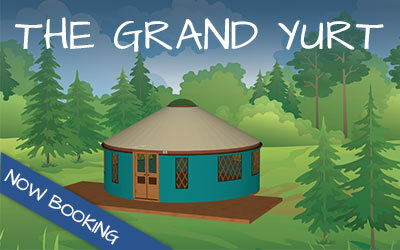 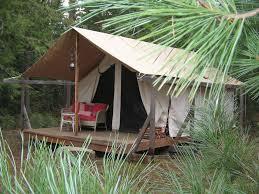 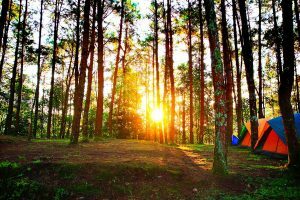 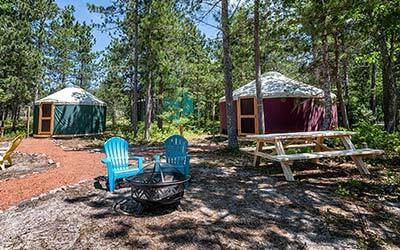 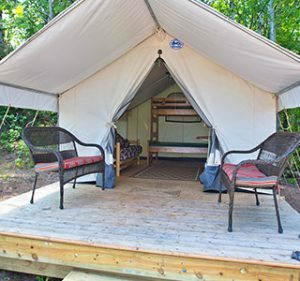 You’ll love the comfortable outdoor lodging at Paddlers Village and Au Train Beach Campground. 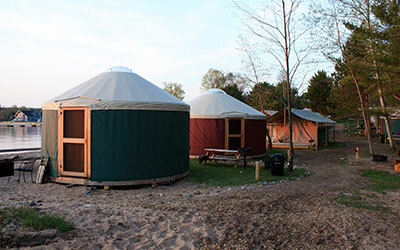 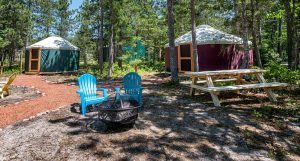 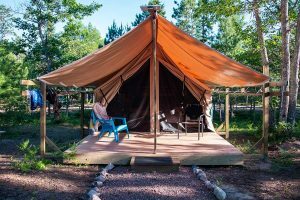 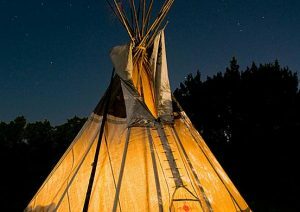 Our yurts, tipis, safari tents and sleeping cabins are equipped with beds, refrigerators, comfortable seating and firepits. 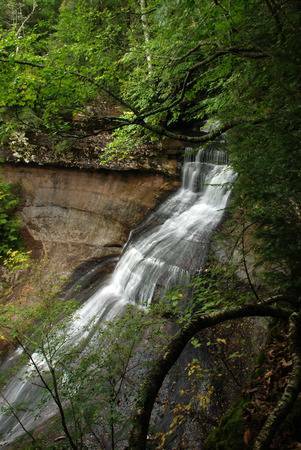 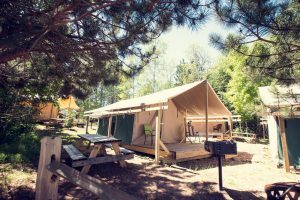 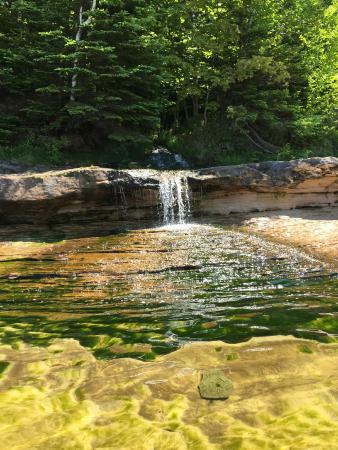 Our resort campgrounds are the perfect headquarters for exploring Hiawatha National Forest, Pictured Rocks National Lakeshore, waterfalls and the beautiful city of Munising. 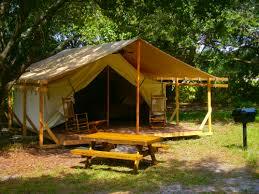 After your day of outdoor fun, enjoy drinks and a great meal at the Duck Pond Eatery & Beer Garden. 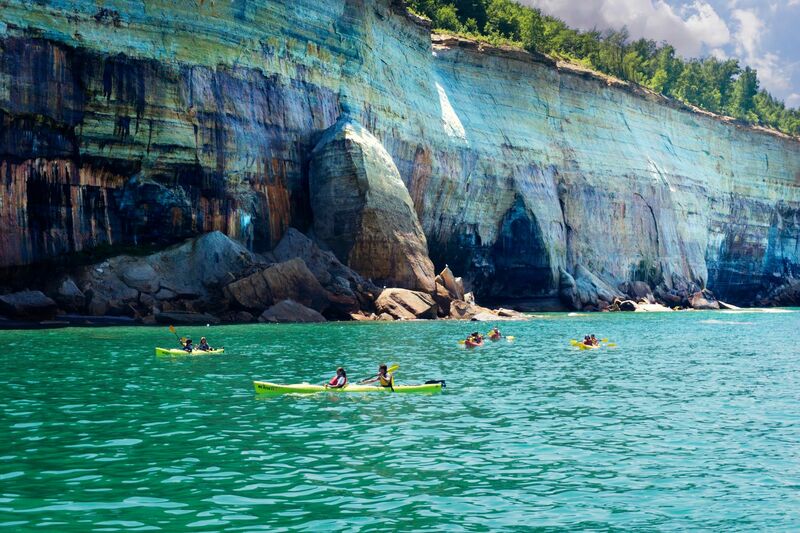 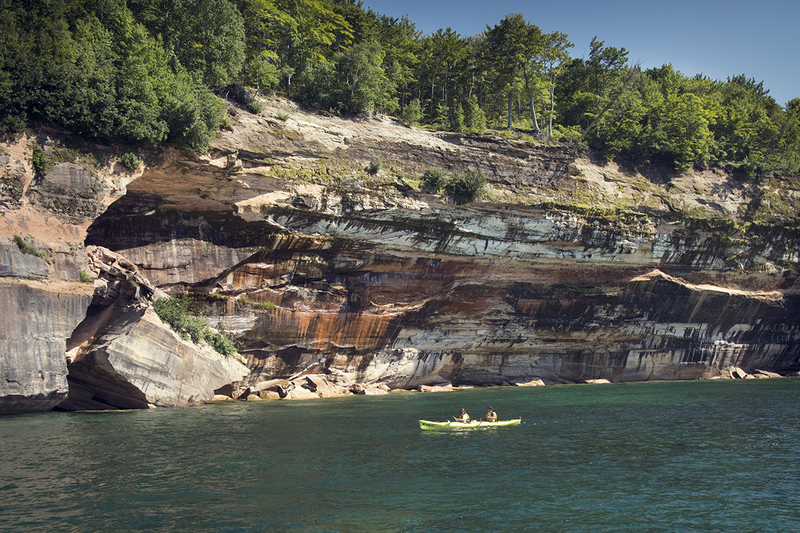 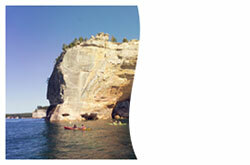 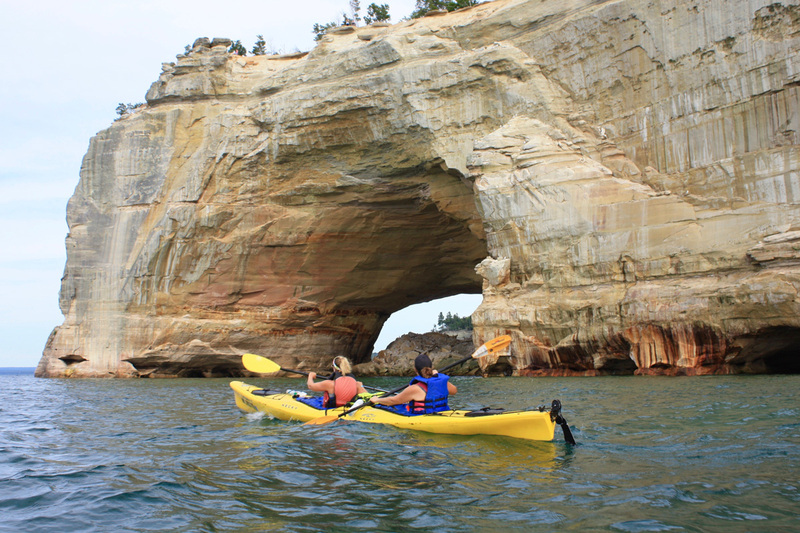 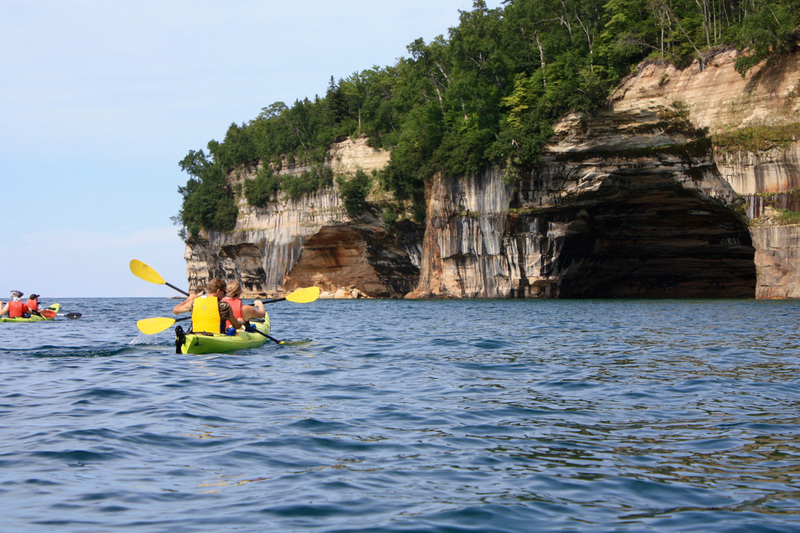 There’s no better way to take in Lake Superior’s Pictured Rocks National Shoreline than in a kayak! 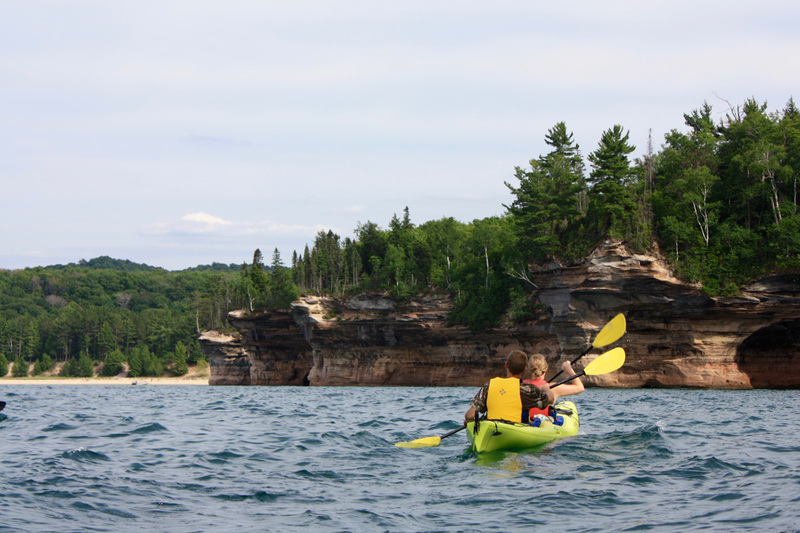 We have amazing, guided kayaking tours suitable for all ages and skill levels. 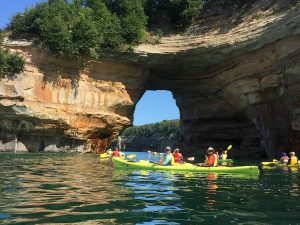 With daily kayak tours ranging from 2 to 8 hours in length, we have the perfect paddling tour for your Upper Michigan vacation! 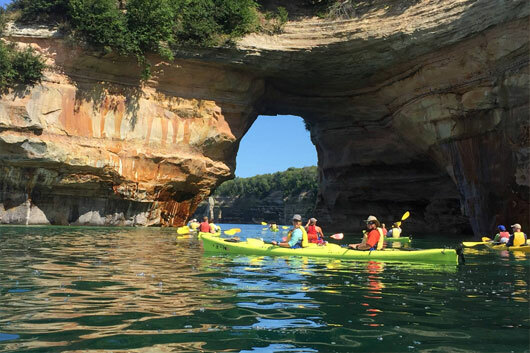 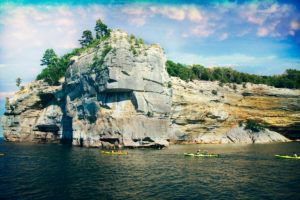 Discover the beauty and majesty of Bridalveil Falls, Kissing Rock, Lovers Leap Arch, Caves of the Bloody Chiefs, Indian Head, Battleship Row, Chapel Rock, and the sea caves of Pictured Rocks up-close with one of our guided kayak tours. 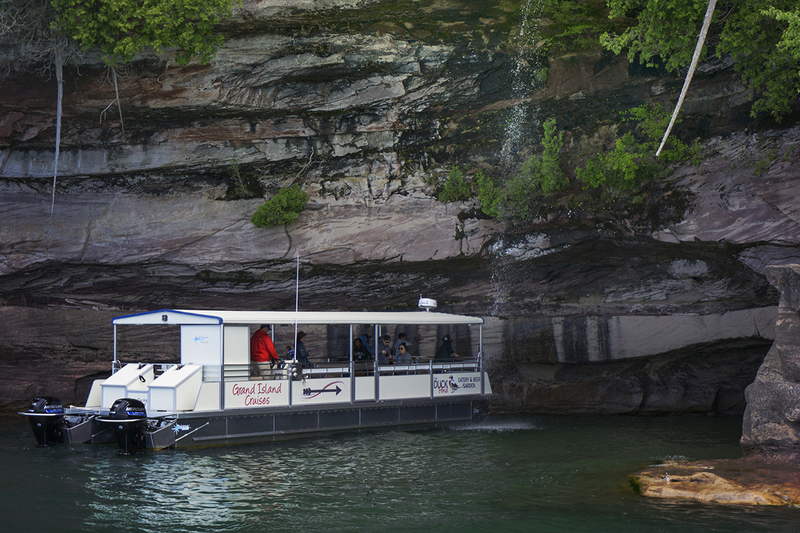 When you’re done paddling, enjoy drinks and a great meal at the Duck Pond Eatery & Beer Garden. 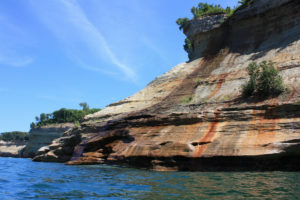 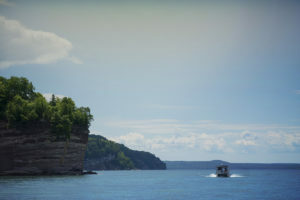 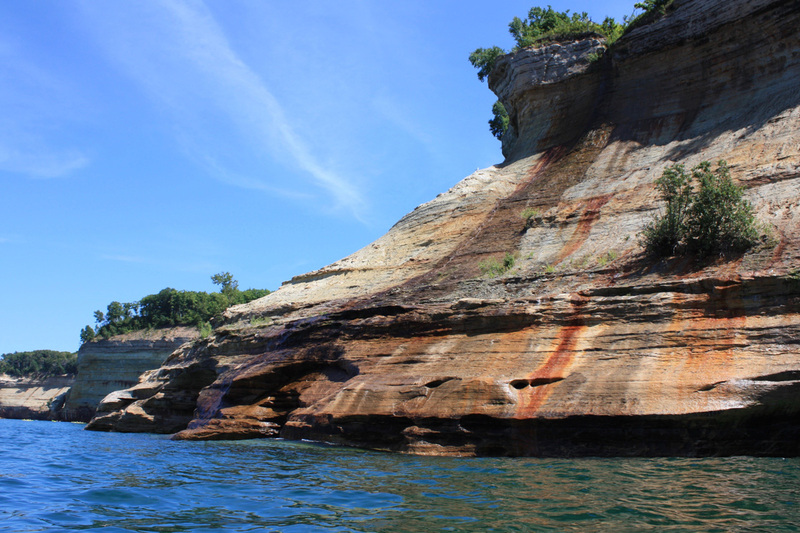 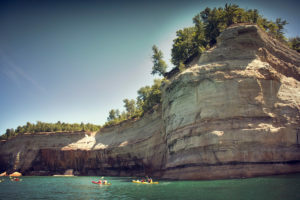 Click to learn more about Pictured Rocks National Lakeshore & other points of interest you can see on our kayaking tours! 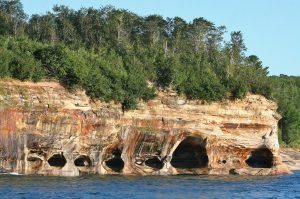 Best sea caves in the Pictured Rocks Area. 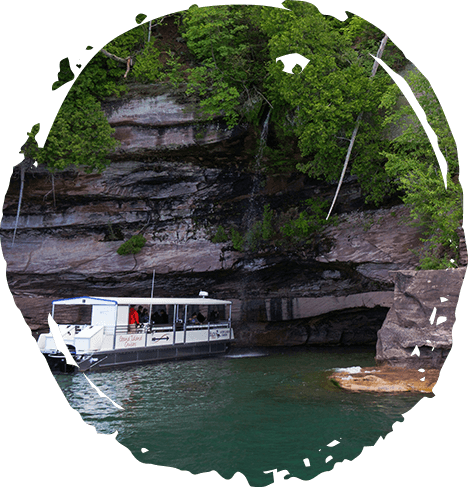 See this on the ” Morning and Afternoon Delight Tours”. Guide your kayak through the tight crevice these two giant rocks form by “kissing” each other. 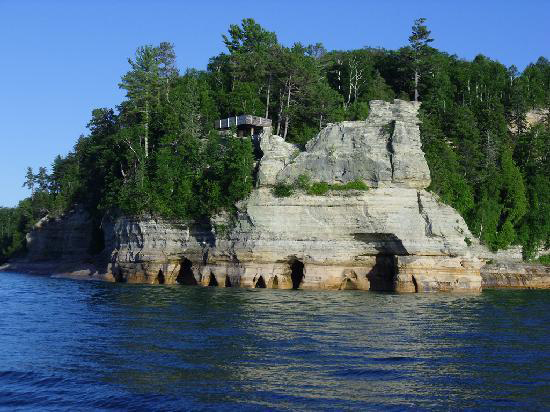 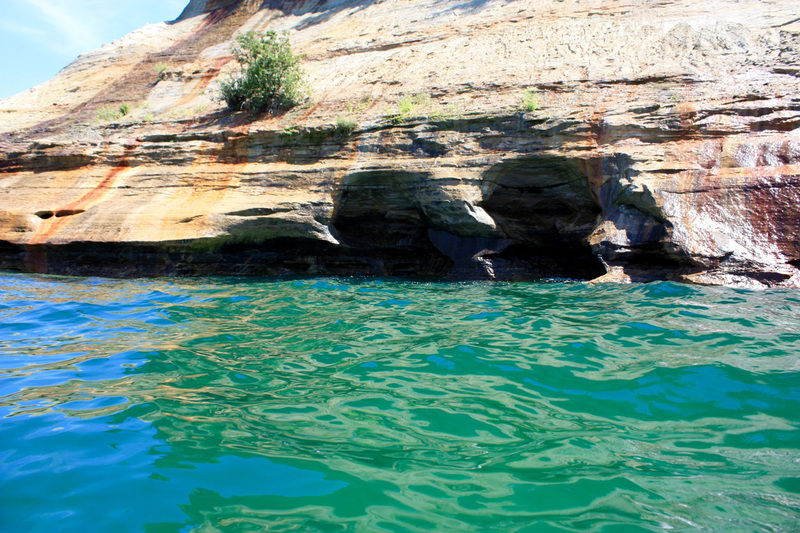 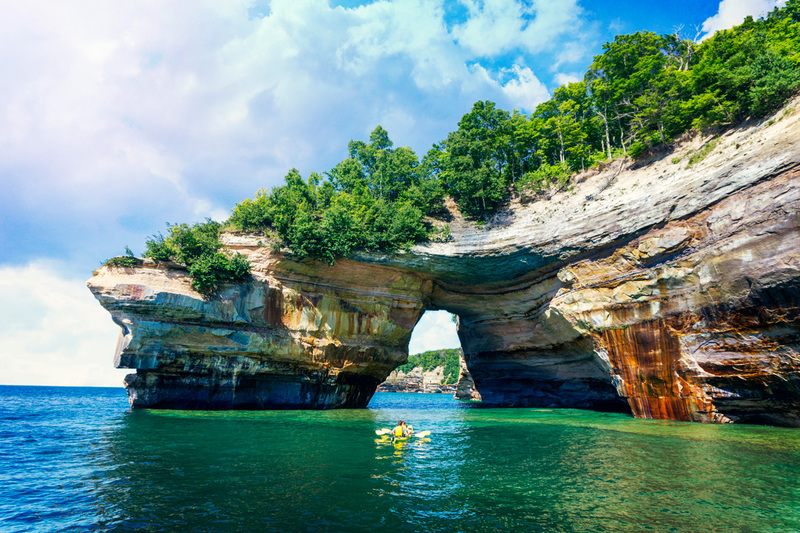 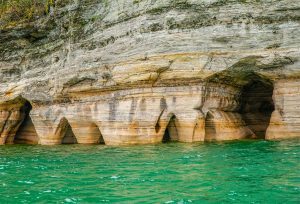 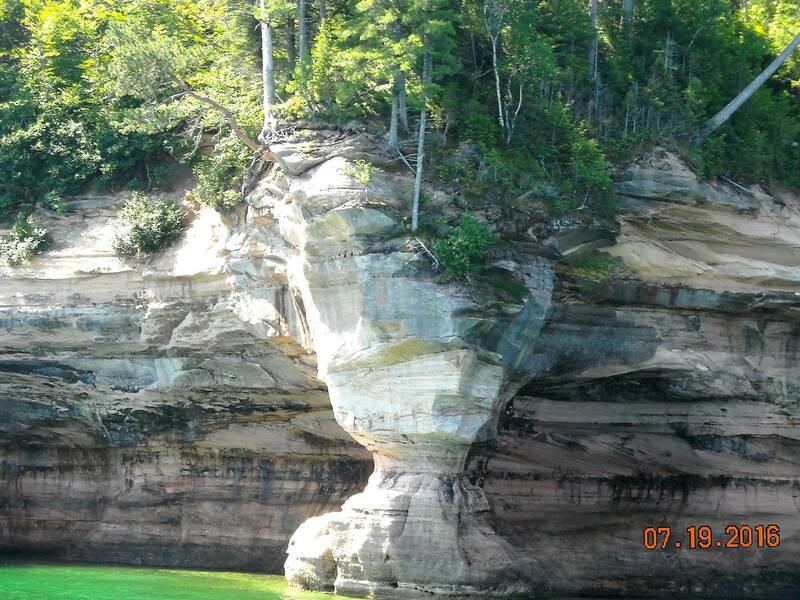 It’s a must see destination at Pictured Rocks! 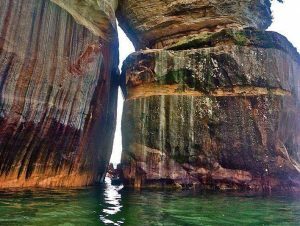 The most photographed place in the Pictured Rocks. 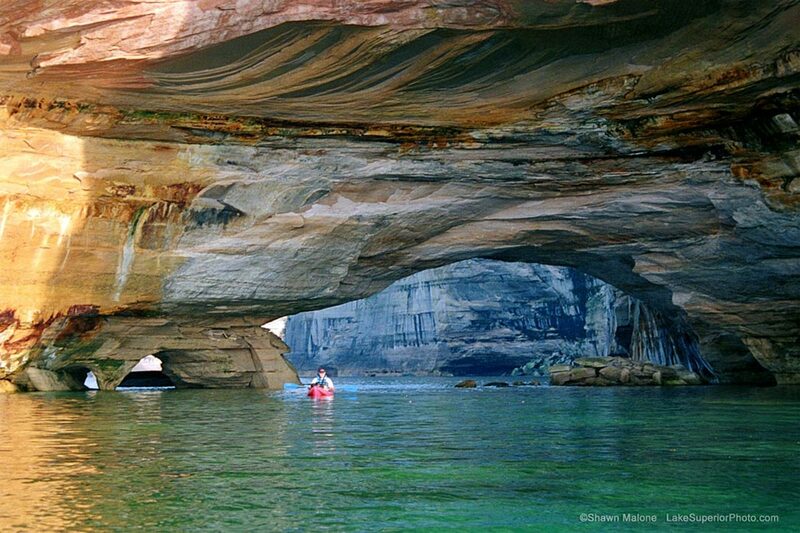 Fun to paddle through. Ask your guide about the Native American legend of how it was named. 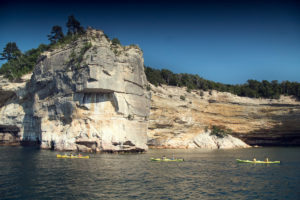 “Paddlers Choice” and “Paddle and Hike” tours. 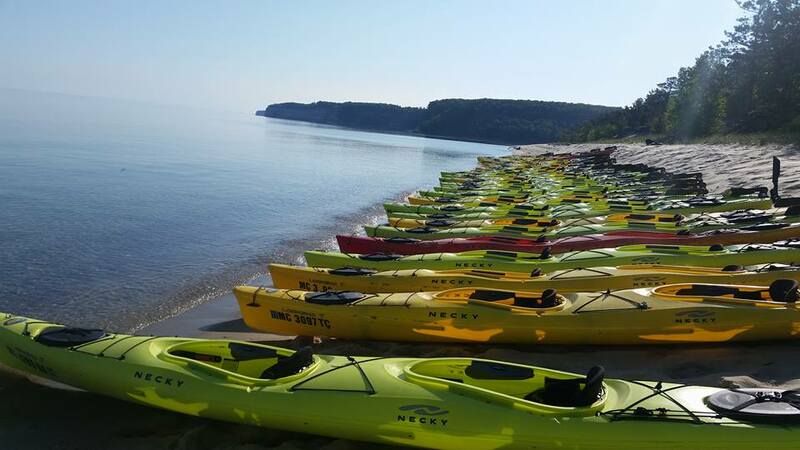 End Point of the “Paddle and Hike Tour. 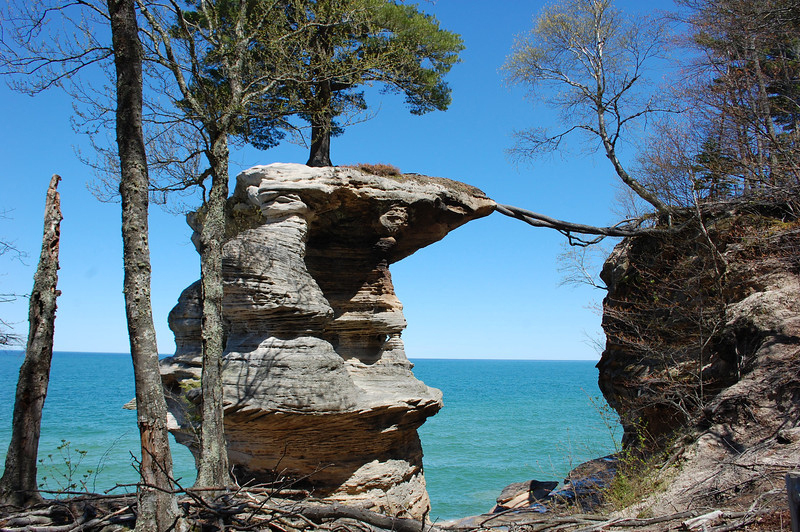 Note the roots from Chapel Tree extending through the air to the ground adjacent to it. Gaze up as you kayak through these coves with 200′ tall sandstone walls gleaming with several different mineral stains in a variety of colors.